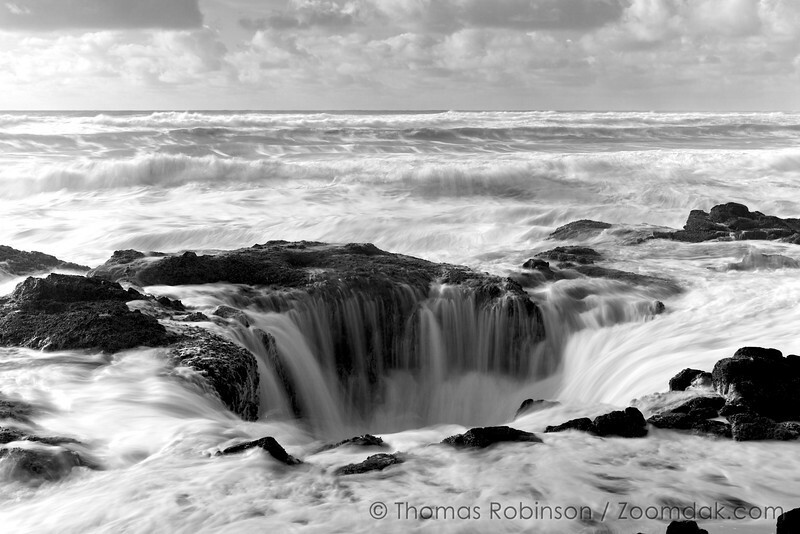 A surge of the Pacific Ocean splashes over rock rim and into Thor's Well. It is located at Cook's Chasm along the Oregon Coast near Cape Perpetua. See more Oregon Coast Photos.